The league also managed to unearth some of the finest talents in domestic cricket. The sixth edition of the Bangladesh Premier League (BPL) was a very successful one. The Comilla Victorians managed to clinch the title for the second time with some brilliant performances. Yet again, it was a disappointing final for the Dhaka Dynamites. After winning the title in 2016-17 season, the team entered the finals in both the following seasons. However, they failed to pass the final hurdle leading to a massive setback. Even though there weren’t many top-notch performers in the tournament, some of the renowned cricketers put up quite a show. Moreover, the league also managed to unearth some of the finest talents in domestic cricket. If dealt well, they could be soon representing the national team. Alex Hales had a slow start in the BPL 2019. He bagged a duck right in the first match and wasn’t picked in the eleven after a few poor shows. However, he slowly caught up with the pace of the league with some impressive performances. His best knock of the tournament came against the Chittagong Vikings. In that game, the English cricketer took just 47 balls to register a century but was out on the next ball. Overall, he scored 304 runs in the tournament in 8 games at an average of 43. He had to miss out on the last few games due to an injury. 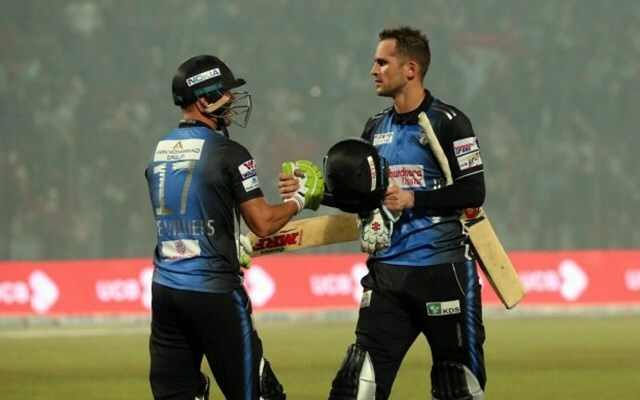 T10 League 2018: Match 3, Bengal Tigers vs Northern Warriors, Match Prediction: Who will win the Match?